By Robin Wauters , June 2nd, 2015. 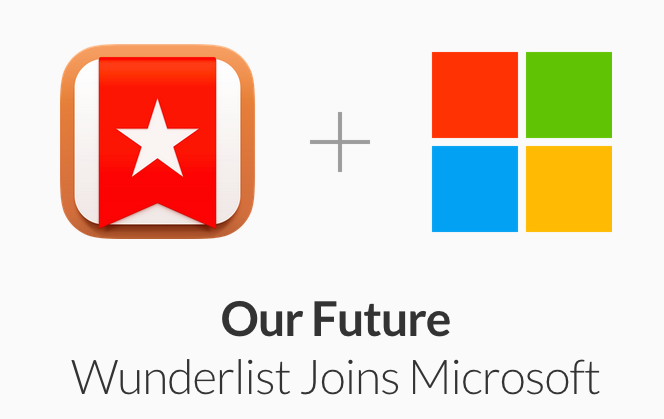 The rumours have been confirmed: Microsoft is now the owner of Berlin-based 6Wunderkinder, the company behind productivity app Wunderlist. Here's Microsoft's blog post on the news. We've shared our thoughts and some additional facts here. "Today marks a momentous day for me and the entire Wunderlist family. I am incredibly excited to share with you that we are joining Microsoft. So what will change for you? Nothing right now. Our team in Berlin will continue to build and deliver you Wunderlist, Wunderlist Pro and Wunderlist for Business across all platforms–iPhone, iPad, Apple Watch, Mac, Android, Windows Phone, Windows and theWeb. I will continue to lead the team and product strategy, because that’s what I love the most–building great products that help individuals and businesses get stuff done in the simplest and most intuitive way possible."